Anyone that has immersed themselves into the world of specialty coffee have probably listened to passionate debates about bleached and unbleached coffee filters. But is there really a difference? There are many out there that swear by their unbleached coffee filters. Of course, there are just as many, if not more, that believe that bleached filters are much better or that there is no difference at all. Today, let’s take a few minutes to examine each type of filter. We will look at the differences between each filter and if they really do impact how good or, I hate to even say it, how bad your cup of coffee really is. 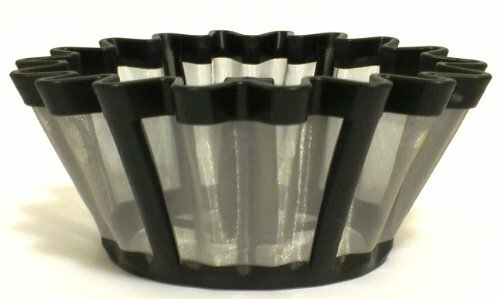 Many people believe that using a bleached or unbleached coffee filter will alter how your coffee tastes, and they are often surprised to find out that isn’t the case at all. The fact is that it doesn’t really matter which one you choose as it won’t change the taste of your coffee. There isn’t a lot of bleach used to make those filters appear white, and it will not impact the taste of our coffee or cause any unwanted health side effects, either. Chlorine is basically the same stuff they use to keep your pool clean. It is very commonly used to whiten the filters but it isn’t considered as high of quality as filters that are bleached using oxygen. If you are looking for a high quality bleached coffee filter, then you want to look for filters that are bleached using oxygen. Unfortunately, bleached filters are not as good for the environment. First, there is an added step to the manufacturing process. Second, these filters with the bleach can pollute the environment when they are discarded, even though there is only a very small amount of bleach used. Oxygen-based bleaches are the better option here as well, as oxygen is much more environmentally friendly compared to chlorine. Unbleached filters don’t have that bright white look of their bleached counterparts, but they are more natural and much more environmentally friendly. All paper has that brown look and has to be bleached to look white. Unbleached filters don’t undergo that manufacturing process and when they break down the resulting chemicals put back into the ground are nowhere near as harmful as bleaches such as chlorine. There are some differences you need to be aware of before you start to use unbleached filters. If you just toss an unbleached filter into your coffee maker, you could find that the coffee ends up with a slight taste of paper to it. Thankfully, it is really easy to prevent this from happening. Place your filter in your coffee maker. Pour a little water into it to wet the entire filter. Discard the water you used to wet the filter and brew your coffee. Performing these extra steps will help you prevent that paper taste from being passed to your coffee. Once done, you won’t be able to tell a difference in a cup of coffee made from an unbleached filter to that made in a bleached filter. Remember, bleached and unbleached filters have little effect on the taste of your coffee. What can impact it is the overall quality of the filter you do purchase. When selecting a filter, don’t try and save a few cents. That few cents can make all the difference in the taste of your coffee. When selecting a filter, make sure you not only select the proper size for your brewing method of choice but also make sure you pick the correct thickness as well. Thinner filters will allow the water to pass through it much more quickly, and this will certainly affect the brewing process, and not in a good way. The thicker the filter, the more expensive it will be, but the cost differences are so small that they really shouldn’t matter. At the end of the day, that is what is important, isn’t it? Now that you know that quality is what is really important, and that basically when you buy bleached or unbleached it is really the color that you are choosing, let’s talk for a minute about their costs. Unbleached filters go through fewer manufacturing processes, yet for some reason they actually cost more than a bleached filter. So, if you are really looking to save a little money on your filters, then your best bet is to choose a filter bleached using oxygen that is a little thicker than the cheapest varieties out there. Of course, if you want to friendlier to the environment, you could still choose a nice unbleached filter. Just know that you will be paying just a little more for them. There are actually very few differences between bleached and unbleached coffee filters. Sure, bleached filters undergo and additional process and you can find some type of bleach in them, but neither type really have any impact on the taste of your coffee. So, use whichever one you feel more comfortable with. Unbleached filters are almost always much better for the environment, so if you are concerned about Mother Earth, then by all means buy unbleached. No matter which one you choose, always remember to buy high-quality filters. That will affect the taste of your coffee. So unbleached or bleached, it doesn’t really matter. Just make sure they are the right size and the correct thickness so you can brew a great cup of your favorite coffee every time. 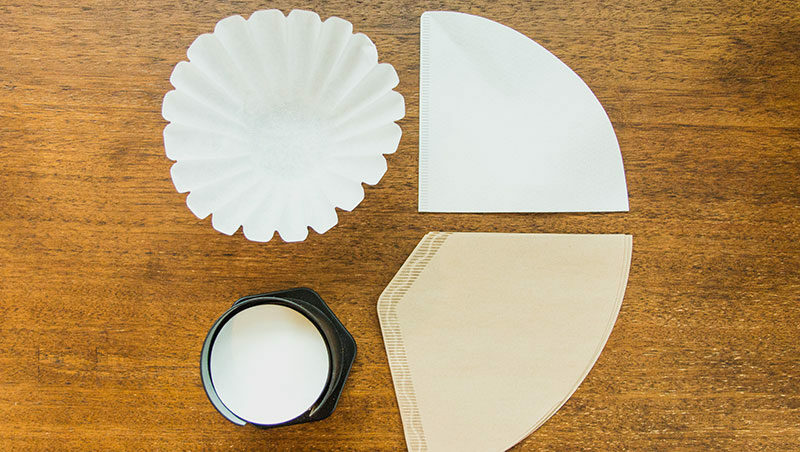 There is much debate in the coffee world over something as simple as a coffee filter. 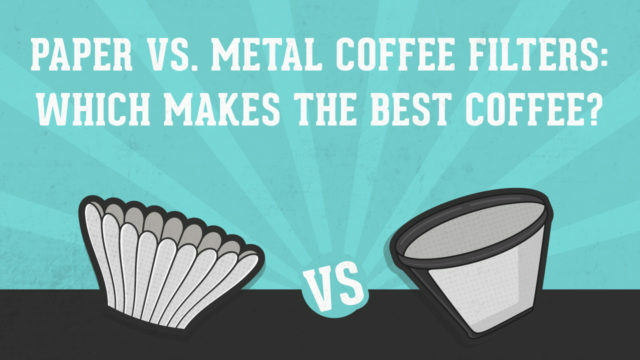 Should you use a paper coffee filter or a metal filter? 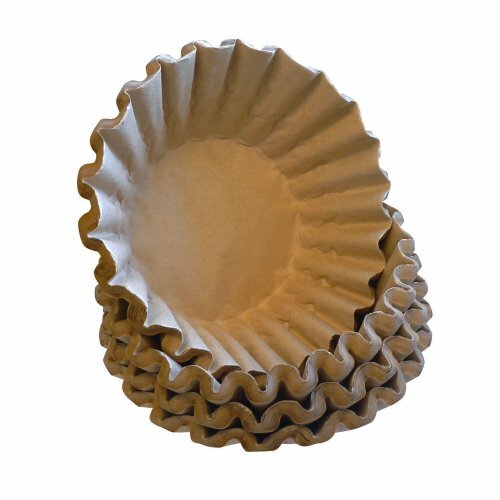 The Paper Vs. Metal coffee filter debate is one for the ages and one likely to continue for years as well. But which one makes the best coffee? Of course, what makes coffee the best is highly subjective. After all, what I think is the best coffee isn’t necessarily what you think is the best coffee. So, to help solve this debate, or perhaps add to it, let’s examine these very different filters to see if we can determine which one is the best. It can be tough to decide which ones you should use. So, we will take a few questions about these filters and do our best to answer them. In the end, you should be able to decide which is best for you. Which coffee filters cost more? A metal filter will cost you much more on the front end compared to paper filters. I’m sure that comes as no surprise. Paper filters cost less per pack, but you must keep buying them. If you are a big coffee drinker, then this can add up fast. The bottom line is, in the long run, you will save more if you buy a metal filter. We all should be concerned about the environment and do what we can do minimize our impact on the world around us. Metal filters are the obvious winners here. Sure, you can recycle and compost that old coffee, but how many of you take the time to do that? Don’t worry, not many of us have the time to do that, including me. If you are worried about the environment, then a metal filter is the right choice for you. Which coffee filter is easier to clean? I have to admit this one can be subjective. But in my opinion, a paper filter is much easier to clean up compared to a metal filter. With a paper filter, you simply lift the filter out and discard it. A metal filter must be dumped and then rinsed after each pot. On top of that, occasionally you will have to put it through a cleaning cycle in your sink or dishwasher to make sure it stays clean and ready to use. For all the things that coffee can do for your health, there are some bad things as well. Coffee contains cafestol, an oil that is known for raising cholesterol levels. When you use a paper filter, you remove more cafestol from the coffee. The removal of cafestol leads many experts to believe that paper filters are a better option if you’re concerned about your health. However, those bright white paper filters didn’t get that way on their own. They get bleached with a substance known as dioxin. While there isn’t any substantial evidence, many experts worry that this bleach can make its way into your coffee when you use these filters. By using a metal filter, you don’t have to worry about those bleaching agents entering your body. There is another option, though. You can always switch to unbleached paper filters. These filters don’t contain dioxin, but they still filter out more of the cafestol. These are the best option if you’re concerned about your health. Will The Type of Coffee Filter Affect The Taste? Everything else on this list probably doesn’t matter to you if your coffee doesn’t taste good. Am I right? Paper filter and metal filters will produce coffee that tastes very different from one another, and that could have an impact on which one you will choose to use. Because metal filters don’t remove as much of the cafestol from the coffee, more oils will end up in your coffee, which produces a flavor that is much bolder and richer compared to paper filters. If you prefer a fuller body cup of coffee with a bold flavor, then metal is the right choice for you. 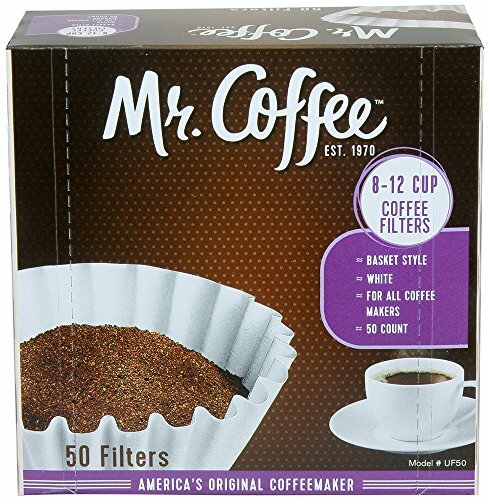 Paper filters, on the other hand, filter more out of the coffee. The result is a much brighter flavored coffee that is also much lighter in body. For many coffee drinkers, this is the preferred taste. There is one other thing to consider about paper filters. Sometimes, they can make your coffee taste like, well, paper. You can get around this by rinsing the filter with hot water first, but that does add an extra step to the process. 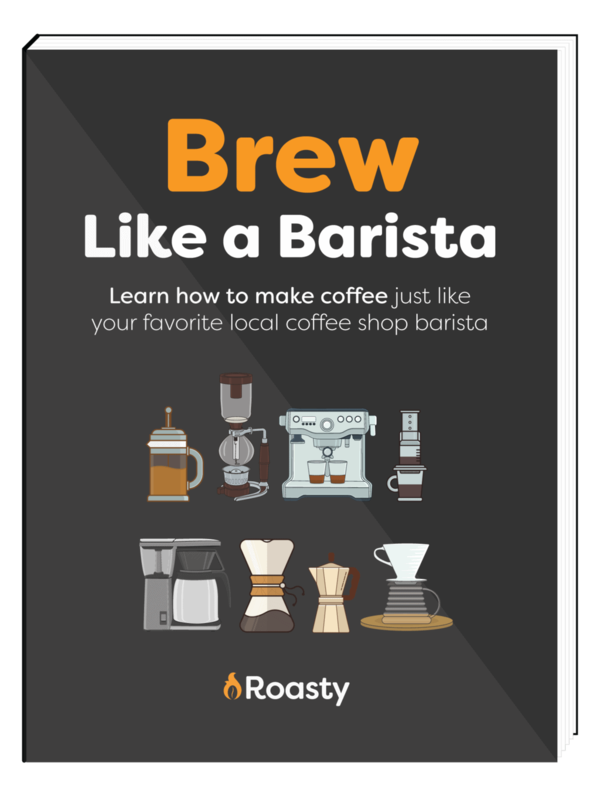 The bottom line is if you prefer a much bolder cup of coffee and aren’t worried about what doesn’t get filtered from your coffee, then go with a metal filter. However, if you prefer a lighter cup of coffee that is much brighter in taste, then choose paper filters. This debate may be moot if you can’t even get a metal filter. Some brewers will come with one while others will let you order one instead of using paper filters. Of course, some don’t make metal filters at all for their brewers, like pour over systems. You will have to check with your manufacturer if you are interested in getting a metal filter. 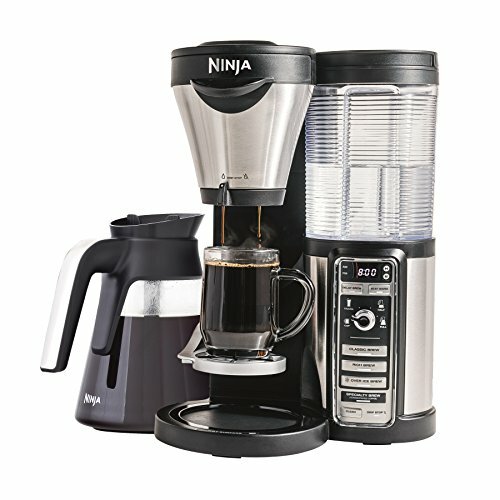 If they don’t have one, then it is time to shop for a new coffee maker. The paper vs. metal coffee filter debate has been around for a long time and probably won’t go away anytime soon. As you can see, there are distinct differences between the filters and the type of coffee they create. Both types of filters offer something to unique to the world of coffee, and which one you choose largely depends on your tastes. Personally, I would encourage you to try both and use the one that suits your tastes. After all, that’s what it’s all about in the end. Wouldn’t you agree?